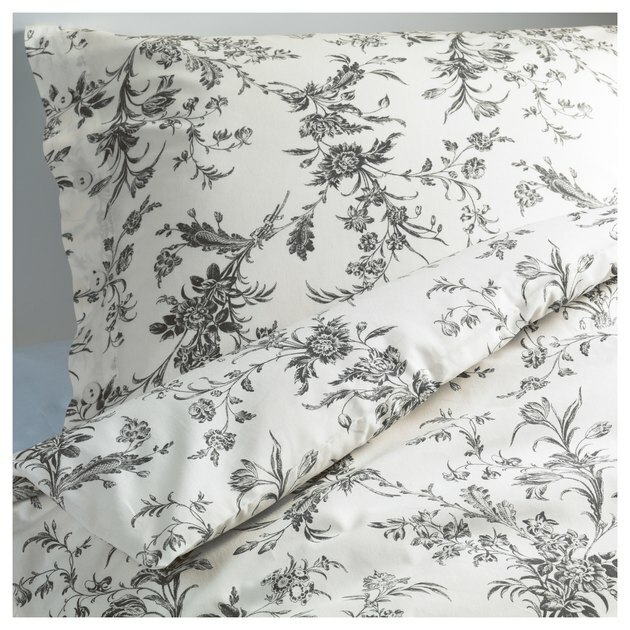 Between sheets, throw pillows, and duvet covers, the cost of bedding can really add up. The good news is that there are some seriously stylish options out there under the $100 mark, or just slightly above. You just have to keep your eyes peeled! Or better yet, check out our favorite 13 picks below. 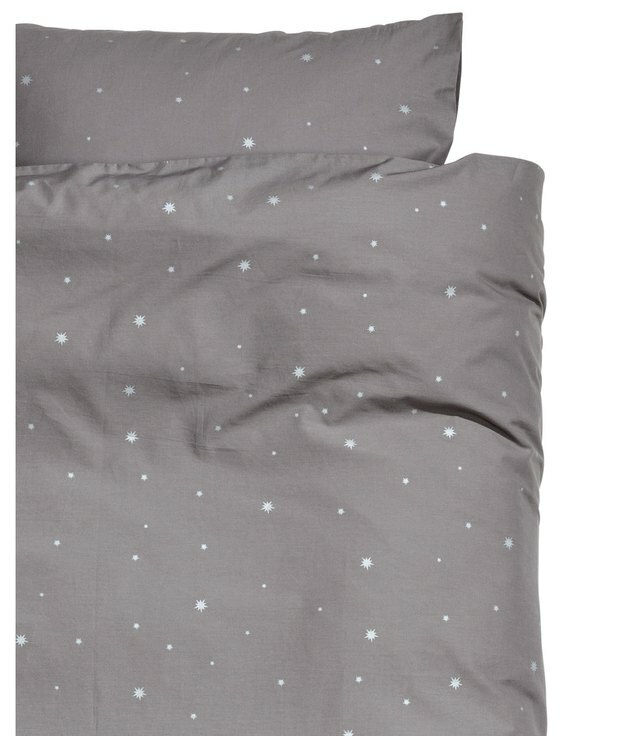 We're starry eyed for this pretty cotton duvet cover set that comes with matching pillowcases. 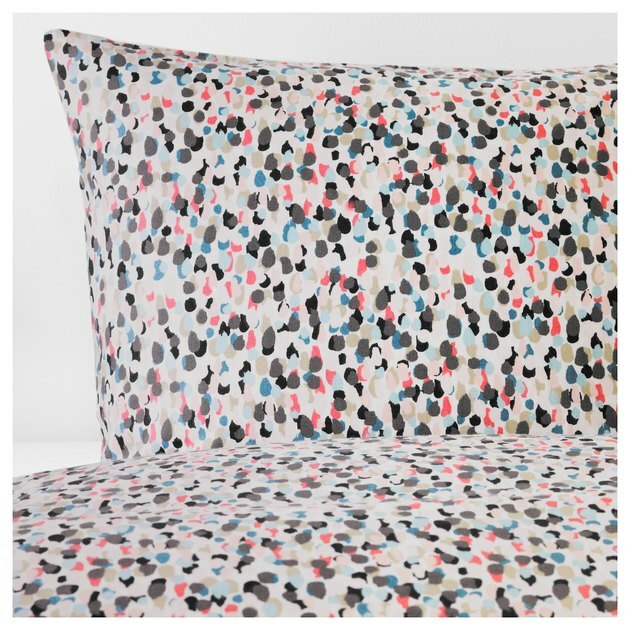 This duvet cover set is great because it features several colors that you can play around with. Try pairing it with teal sheets, for example. The set is made of cotton and has conveniently concealed snaps. Nothing is more luxurious in the winter than a warm set of flannel sheets. 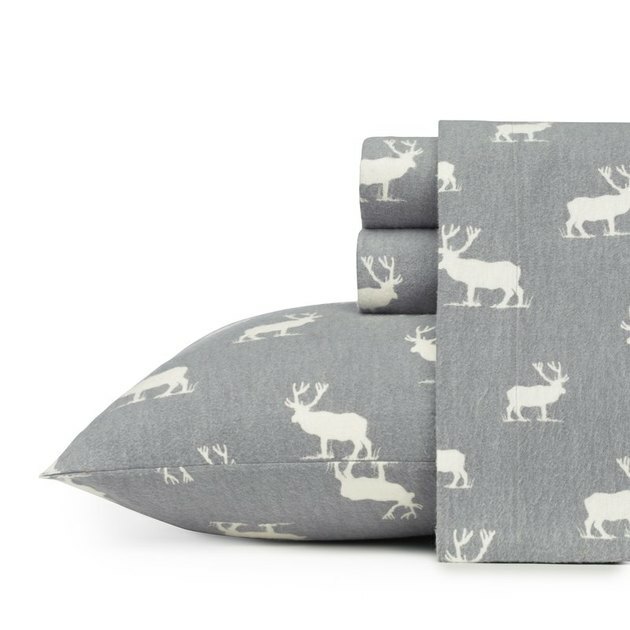 Throw in an elk print for a festive feel, and you're set! 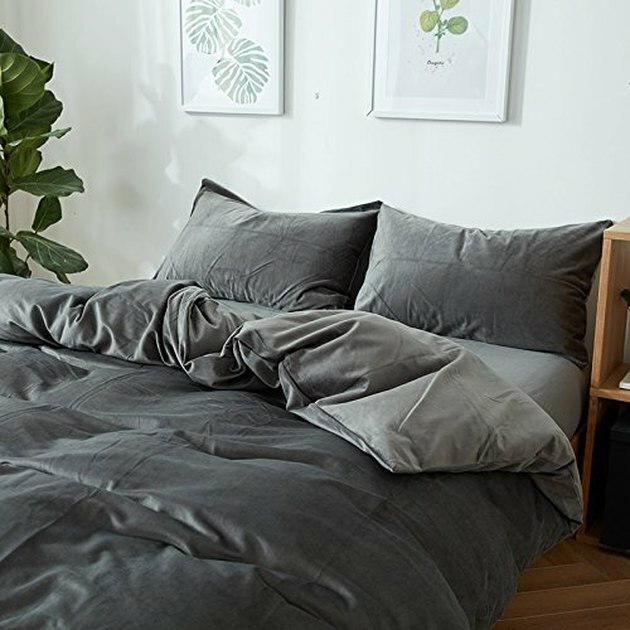 This simple yet fun duvet cover set comes in a wide variety of colors to match just about any space. 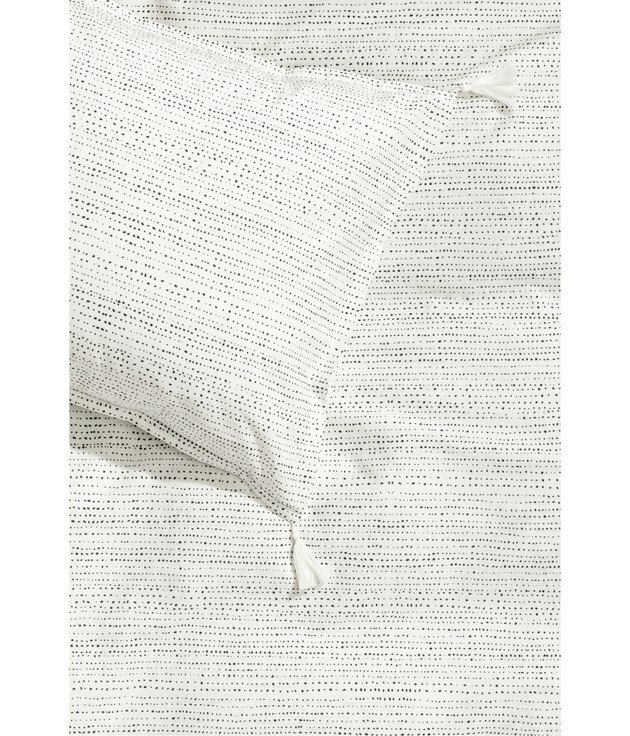 This cotton duvet cover set features playful tassels on each end of its pillowcases. It manages to be neutral without coming across as plain. 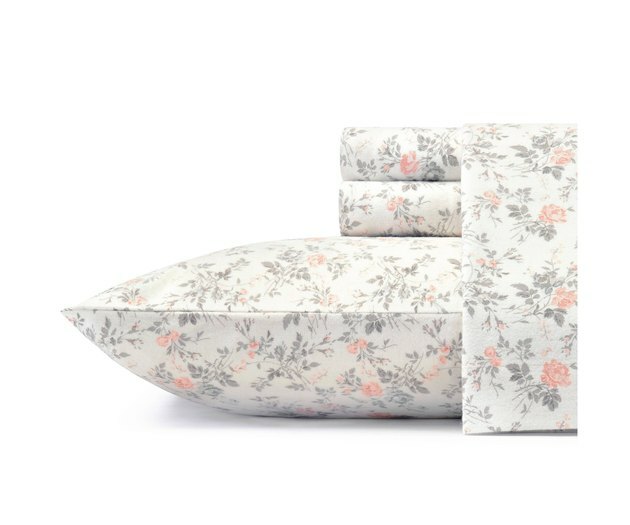 This feminine flannel sheet set would look so pretty with white, textured bedding. Very cozy. History lesson: This charming floral pattern was first created in the 1700s, and is kept safe and sound at the Musée de l'Impression sur Etoffes in France. 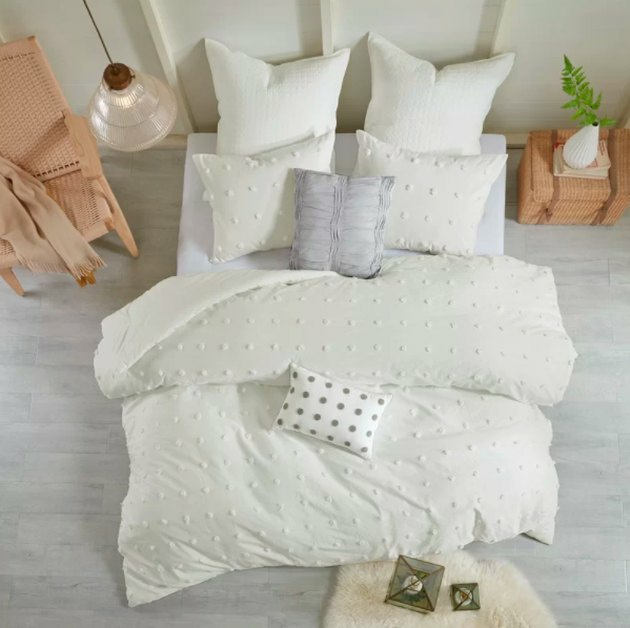 This duvet cover set can add an elegant touch to your bedroom with its soft cotton feel and fabric-covered button closures. 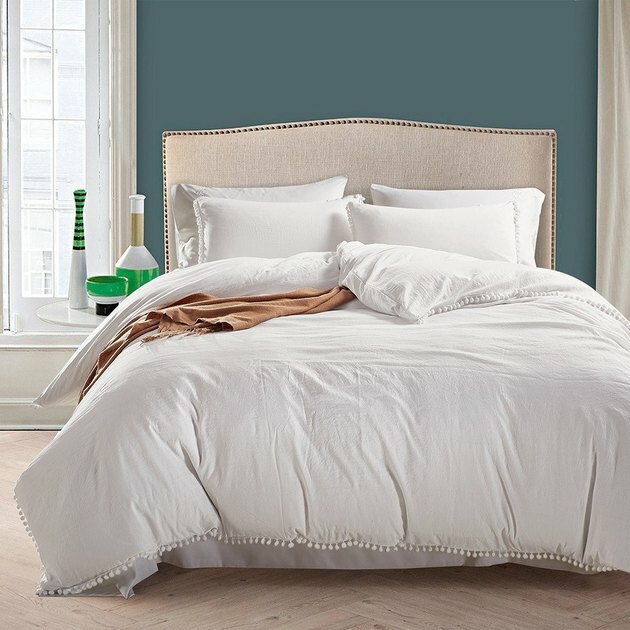 Velvet is having its moment, and it works amazingly as bedding, as well. 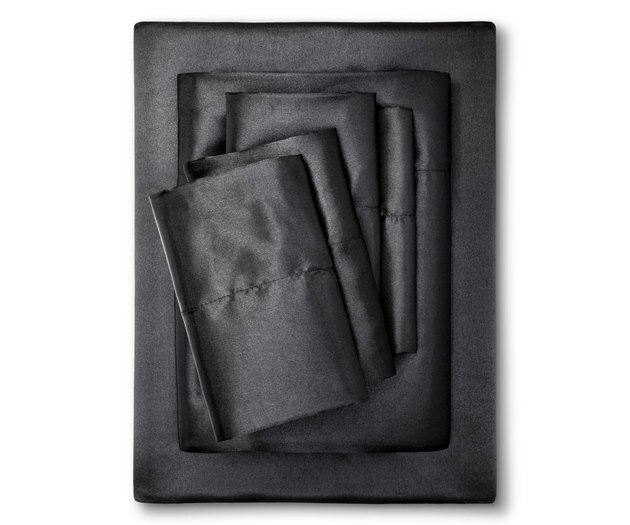 This warm duvet cover set adds great texture to any space. 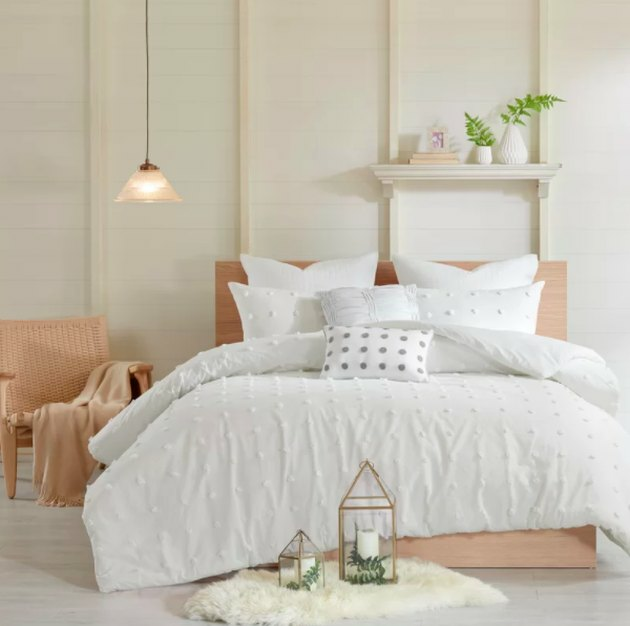 This comforter set with tiny cotton tufts is pretty in a simple kind of way. It's reversible, too, so you'll never get bored. Want to take the warmth of velvet to the next level? This comforter set is a pretty caramel velvet on one side, and plush sherpa on the other. 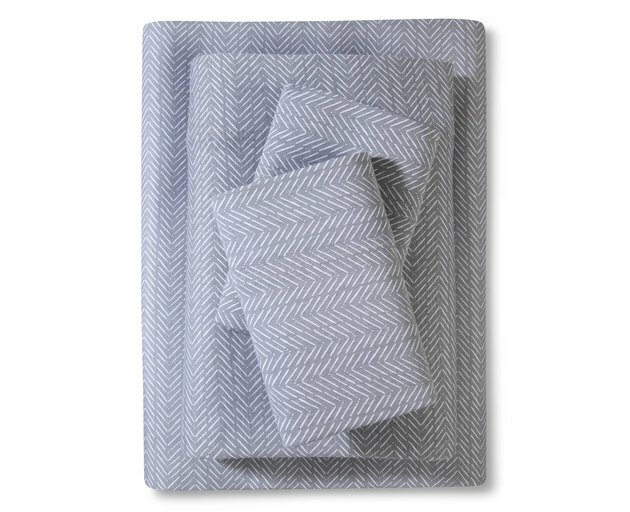 Jersey sheets are ultra-comfortable and breathable, and this particular set also has a charming chevron print. Great for both summer and winter. Some say that silk and satin sheets help prevent wrinkles. We say there's no harm in trying! 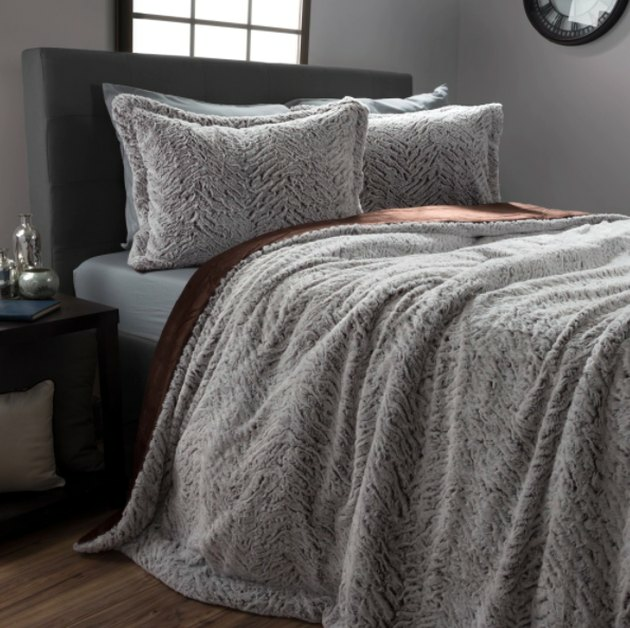 This faux fur comforter set is so soft and cozy. It offers texture and a luxurious feel to your space.